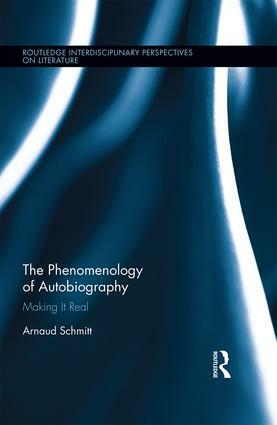 Taking a fresh look at the state of autobiography as a genre, The Phenomenology of Autobiography: Making it Real takes a deep dive into the experience of the reader. Dr. Schmitt argues that current trends in the field of life writing have taken the focus away from the text and the initial purpose of autobiography as a means for the author to communicate with a reader and narrate an experience. The study puts autobiography back into a communicational context, and putting forth the notion that one of the reasons why life writing can so often be aesthetically unsatisfactory, or difficult to distinguish from novels, is because it should not be considered as a literary genre, but as a modality with radically different rules and means of evaluation. In other words, not only is autobiography radically different from fiction due to its referentiality, but, first and foremost, it should be read differently.